Large premises with excellent fixtures and fittings. The Shop: Spacious, purpose-built and fitted out to Australia Post and Tattersall’s requirements and specification. The shop is large with room to introduce other products. The back of the shop consisting of spacious mail sorting area with sufficient storage space/office. Equipped with one Australia Post Electronic terminal. (Epos Terminal) with 321 private boxes installed & One Tattersall’s terminal. 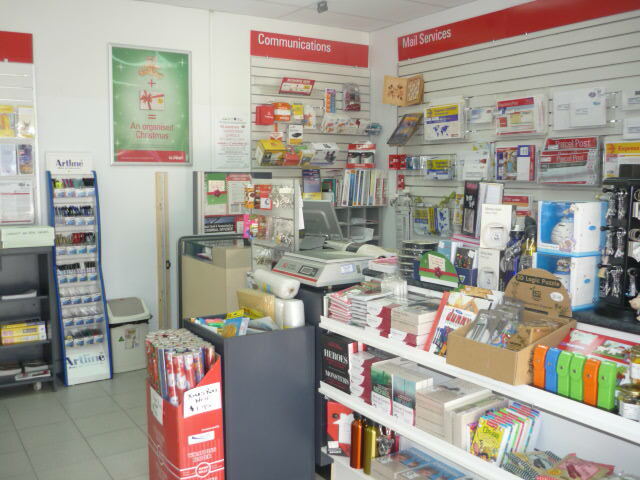 Lucrative and busy Post Office with an excellent range of products. A very popular location close to all facilities with a growing population. The Business: Currently the business is open Monday to Friday 6:00am–5:30pm, Saturday 8:00am-5:30pm. Please note that these hours can be changed. The income from this business is very secure and steadily increasing, it’s ideally suited to a husband and wife or two partner team Post, Tatts, fully authorised News-Agency with no paper deliveries. Opportunities: Apply to Australia Post for new passport service. Capitalise on the location and the large floor area of the shop. 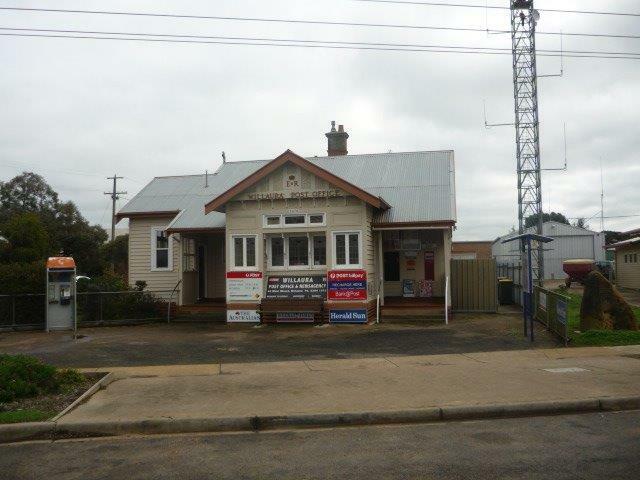 The Wandong Post Office is ideal as a Husband and Wife, partnership or family business. Two people i.e. Husband / Wife team can comfortably run this Post Office full time. An enthusiastic family coming into the business could take this business to a much higher level of income. The shop is an excellent size and allows proper presentation of stock and higher profit lines to be introduced and displayed. There is potential for improving the business by introducing gifts and stationery and taking passport photos. There is a large, solid customer base and a very stable clientele, including account customers with no ‘bad debt’ problems. Customers are extremely loyal and a “village” type atmosphere prevails. The shop has several growth opportunities as outlined above. Parking Facilities: There is ample parking around the shopping complex. The Location and Supporting Benefits: Situated in a thriving town on the outskirts North of Melbourne approximately 50 km with excellent public transport, supported by many other shops in the town and surrounded by freeways giving easy access. This is an ideal family business. A very good Lease with long term options is in place. The Shop: Spacious bright and clean purpose built and fitted out to Australia Post requirements and specification. The shop is large with room to introduce other products. The shop has access directly into the home. The Property and Home: Well built and maintained, with 3 bedrooms and nothing to spend. Well-appointed kitchen and meals area, bright and clean good living areas. The home has been refurbished and is in very good condition. The is a large back yard with garage/carport and plenty of storage space. 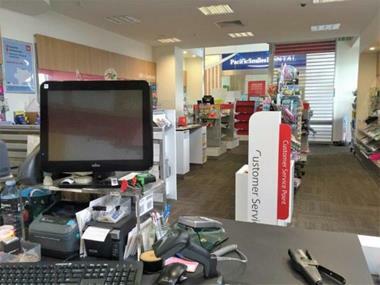 Services Provided: This Licensed Post Office provides all normal Australia Post Services including, Western Union money transfer, passports, renewal of passports, working with children and 100 point ID – check and photos, facsimile and photocopy Service. The income is very consistent and increasing annually. This is a one stop post office. The Location & Supporting Benefits: The Willaura is located in approximately 231 km west of the Melbourne CBD, 116km west of Ballarat and 36km south of Ararat. In the heart of Victoria’s famed Western Districts, wool growing and cereal cropping are central to Willaura’s financial prosperity. The regional plains around Willaura to the East of The Grampians – a stunning range of scenic mountains – are studded with lakes and swamps which are home to a wide variety of water birds. Willaura is about an hour and a half drive from popular coastal resort towns including Portland, Warrnambool and Peterborough. 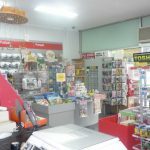 The Shop: The shop is very spacious, bright and clean, with one good size counter and equipped with two Australia Post Epos machines. A fit-out has been completed 7 years ago to Australia Post requirements. The Post Office is a very secure, monopoly type business and the working conditions are pleasant. The Business: Open Monday to Friday 9:00am-5:00pm, Saturday 9:00am-12:00 noon. This business is situated in a lock-up shop within a shopping area with various other major supporting shops. 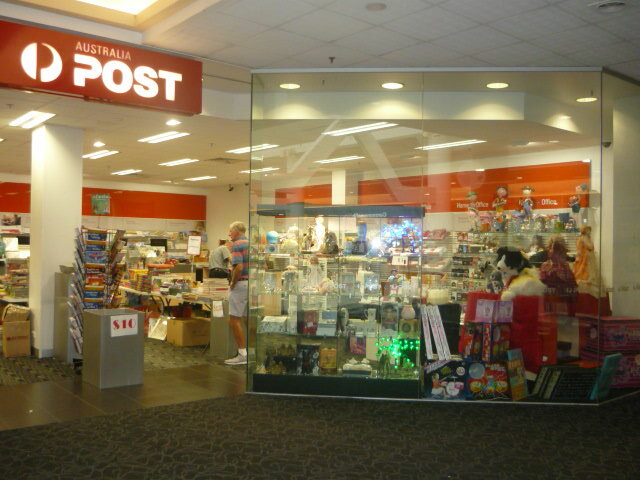 The Post Office displays most Australia Post products and a vast mix of other products. The Post Office is equipped with one counter, (2) Epos Terminals, (2) Barcode Scanners, (2) Label Printers. 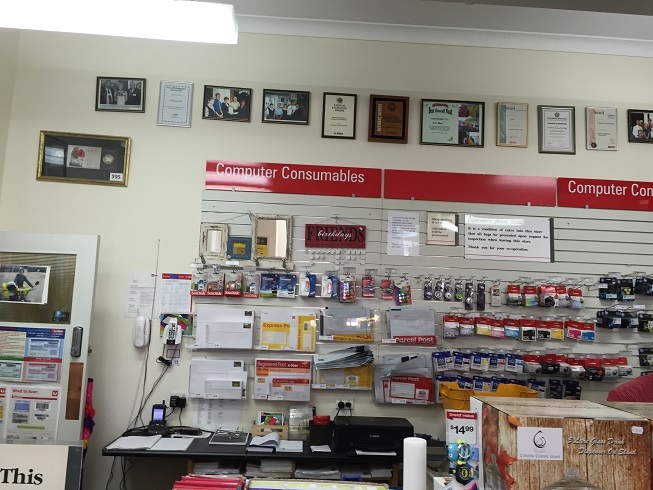 Services Provided: This Licensed Post Office provides all normal Australia Post services including new passports, passport renewals, 100 identification points, working with children, also Dry Cleaning agent for the Wimmera Dry Cleaners etc. There are 289 private post boxes installed and all occupied. All carded articles by contractors and PO box holders are collected from this Post Office. 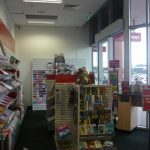 Product lines sold at the Post Office include but not limited to computer consumables, stationary, gift lines, cards and wrap, telephonic items, confectionary and a good selection of Australia Post lines. The Location & Supporting Benefits: St Arnaud is a former gold mining town in the Wimmera region of Victoria, 245 kms north-west of Melbourne. 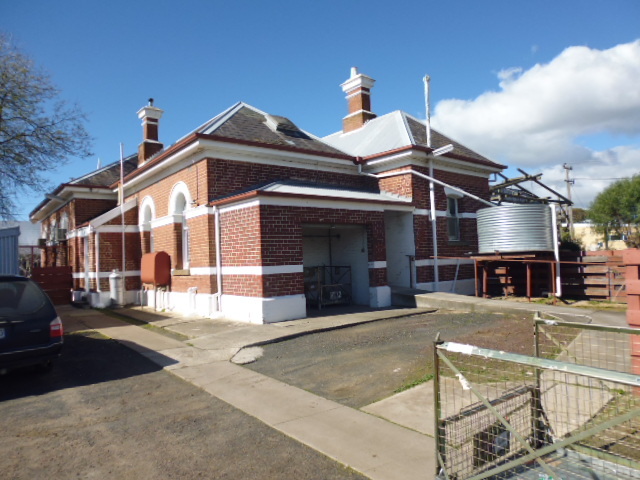 It is situated on the main route between Ballarat and Mildura and was settled in the mid-1850’s. It is in the Shire of Northern Grampians local government area and has a population of approximately 3,500.The district around St Arnaud supports an agricultural industry of sheep grazing, grains and wineries, with forested areas to the south and opens Mallee plains to the north. The town features many well-preserved historic buildings, which line the main thoroughfare of Napier Street. A number of attractive gardens exist in town. Other shops and small businesses in the area include a Supermarket, Hotels, Sporting Club, Restaurants, Clothing Shops, Banks, Sports Store, Hardware Store and Newsagent. BUSINESS: $435,000 + Stock: $30,000 approx. 40km West of Melbourne CBD-Strong Growth Area with many New Developments in Progress – Population approx. 15,000. The Shop: Spacious, purpose-built and fitted out to Australia Post requirements and specifications. There is a very secure lease in place. The shop is large with room to introduce other products. The back of the shop consists of a spacious mail sorting area with plenty of storage area. The Business: Open Monday to Friday 9am-5pm – Saturday 9am-12noon. This business is situated in a lock-up shop within a Shopping Centre with various other major supporting shops. 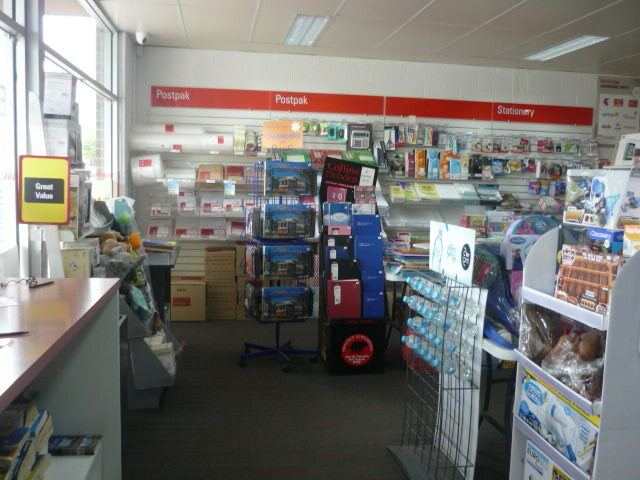 The Post Office displays most Australia Post products and a vast mix of other products. The shop is in excellent condition, with a complete new shop refurbishment completed recently. 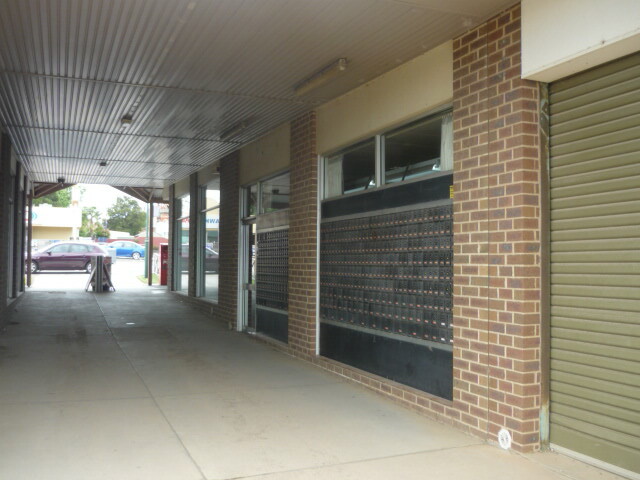 The Post Office is equipped with one counter, (4) Epos terminals, (4) Barcode Scanners, (4) Label Printers and (1) Australia Post passport photo camera. Services Provided: This Licensed Post Office provides all normal Australia Post Services including Western Union Money Transfer, Passports, renewal of passports, Working with Children and100 (one) point ID – check and photos. There are 350 private post boxes installed, all occupied. There is ample room to install further boxes. Income derived from June 2015 Lipom Statement commission $316,000 Ex GST. The income is very secure and stable, increasing annually. The Location & Supporting Benefits: This lucrative LPO is located in a thriving Shopping Centre in a prominent position. Surrounded with great supporting shops and small businesses in the area. Only 35-40 minutes drive from Melbourne’s CBD via Ballarat freeway. There is plenty of parking in the immediate area. The area is thriving and the population increasing rapidly. Genuine Vendors. 15-20 Minutes Drive Approximately 13.5km West of Melbourne CBD-Strong Growth Area. The Shop: Spacious, purpose built and fitted out to Australia Post requirements and specification. There is a secure lease in place. The shop is large with room to introduce other products. The back of the shop consisting of plenty of storage area. The Business: Open Monday to Friday 9-5 Saturday 9-12noon. 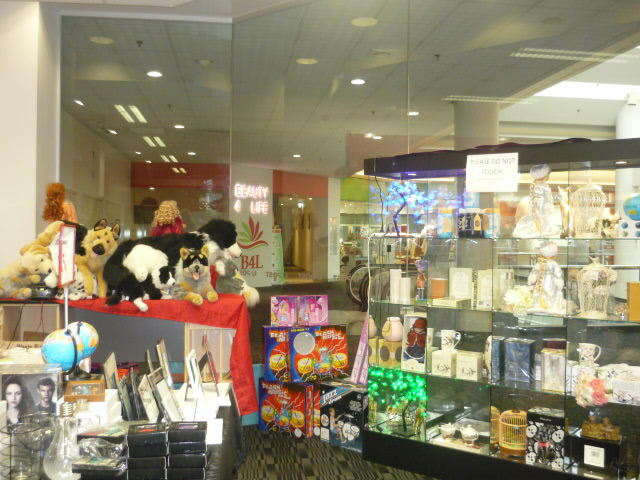 This business is situated in a lock-up shop within a shopping centre with various other major supporting shops. 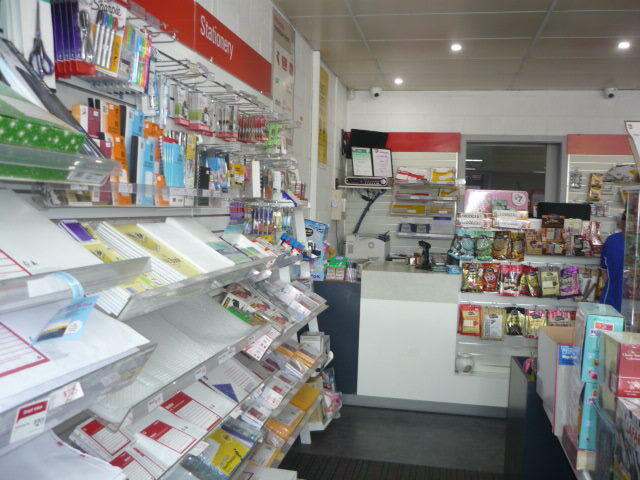 The Post Office displays most Australia Post products and a vast mix of other products. The shop is in excellent condition, with a complete new shop refurbishment completed recently. 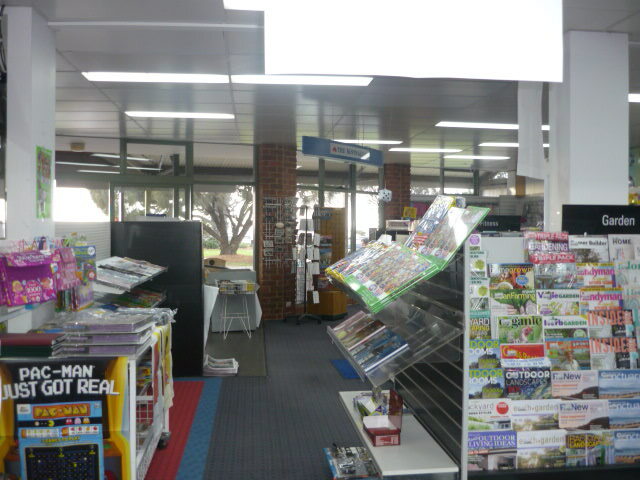 The Post Office is equipped with one counter (4) Epos terminal, (4) Barcode Scanner, (4) Label Printers and (1) Australia Post passport photo camera. 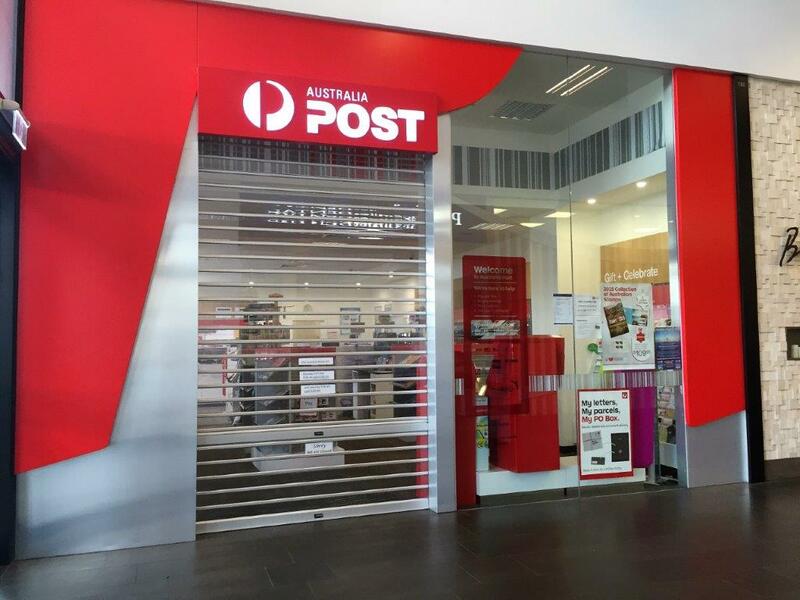 Services Provided: This Licensed Post Office provides all normal Australia Post Services including. Western Union money Transfer, Passports, renewal of passports, working with children and100 (one) point ID – check and photos. There are 300 private post boxes installed, all occupied. The income is very secure and stable, increasing annually. The Location & Supporting Benefits: This Lucrative LPO is located in a thriving shopping centre in a prominent position. Surrounded with great supporting Shops and small businesses. Only 15-20 minutes drive from Melbourne’s CBD. There is plenty of parking in the immediate area. The area is thriving and the population increasing rapidly. Genuine Vendors. Seaside Water Frontage – The Gateway to Philip Island. The Shop: Is very spacious, bright and clean, with one good size counter. 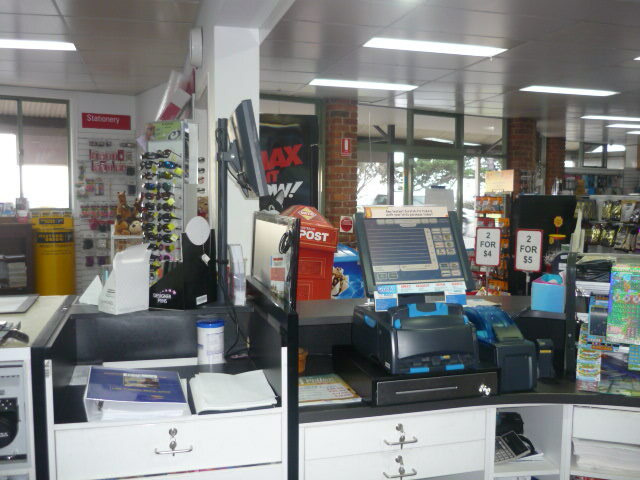 The shop is equipped with two Australia Post Epos machines, one terminal for Tatts and one for the Newsagency. A fit-out was completed in 2013 to Australia Post requirements and no further updates have been requested. Most residents in San Remo and the surrounding area collect their mail and parcels from the Post Office. Residence: To the rear of the shop there is a self-contained, one bedroom unit in mint condition, with modern kitchenette/meals area, bathroom, 2 toilets and laundry, including ample storage space plus carport and neat back yard. Fully fitted-out with quality appliances. The Business: Open Monday to Friday 7:00am-6:00pm, Saturday 7:30am-6:00pm, and Sunday 8:00am-1:00pm. Closed in Winter (optional). 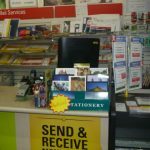 Services Provided: Most Postal services, Tattersall’s, Sub-Newsagency, Magazines, Giftware, Toys, Cards, Stationery, plus many other products. The income is very secure and stable, increasing annually. Equipment (excluding Australia Post Terminals): One bolted safe for Newsagency & Tatts, Photocopier (bought brand new in 2014), CCTV Camera, Fax Machine, 2 Scanners, 2 Printers, 1 Laptop. All fittings & shelves in the shop are new. There are 473 private boxes installed with approximately 95% occupied. The Location & Supporting Benefits: San Remo is a town in southern Victoria, in the Gippsland region. Formed as a fishing village, its economy is now largely based on tourism. San Remo is located 124 km SE of Melbourne, 25 km NW of Wonthaggi and 19 km W of Cowes. Named after the famous Italian Riviera resort town, San Remo is situated at the southern entrance to Western Port. A bridge in the town centre provides a link from the mainland to the popular holiday destination of Phillip Island. The 700 metre long bridge includes a pedestrian walkway which offers good views over San Remo, the jetty and towards Phillip Island. San Remo’s commercial centre stretches along Marine Parade, which runs parallel to Phillip Island Road and the bridge across to the island. Cafes, bakeries, two hotels, restaurants and gift shops line the tourist precinct. Across the road from the shops, at the western end of Marine Parade, is a park with BBQ and picnic areas that stretches down to a sandy beach. The Shop: Well-presented with ample stock, bright and clean. Fit-out to the latest Australia Post standards. The shop has front access and is wheelchair accessible. Post Office boxes can be accessed 24 hours a day, 7 days a week. Having ample parking at the front and rear of the Post Office. The shop is very visible for passing traffic. The Business: Open Monday to Friday 9:00am – 5pm Saturday 9:00am -12noon. This business is situated in a lock-up shop within a shopping strip with various other major supporting shops. 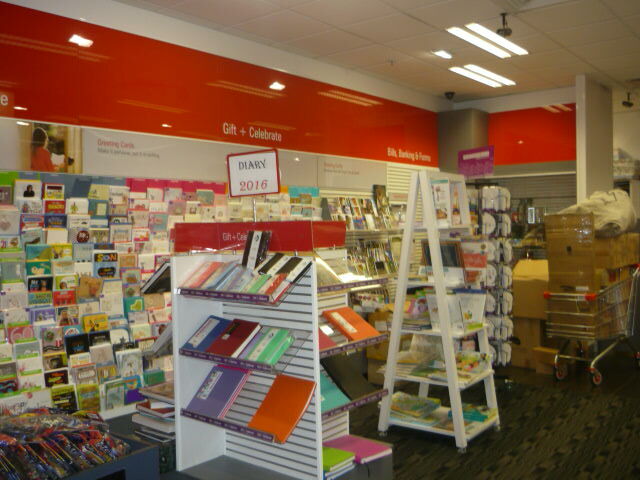 The Post Office displays most Australia Post products and a vast mix of other products. The shop is in excellent condition. 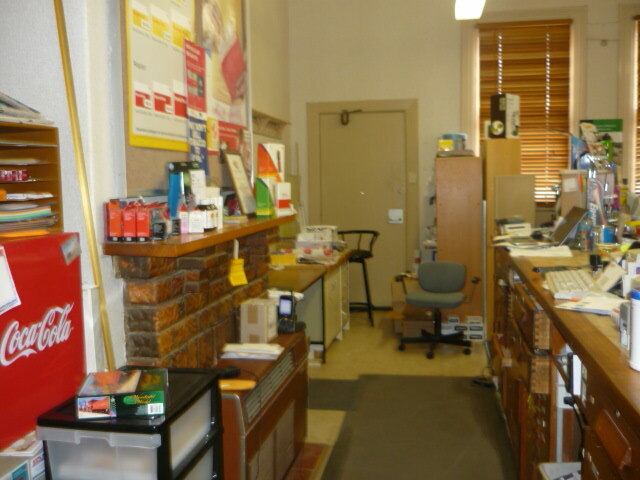 The Post Office is equipped with one counter (3) Epos terminal, (3) Barcode Scanner, (3) Label Printers and (1) Australia Post passport photo camera. This Post Office has 401 private boxes all occupied. Services Provided: This Post Office offers a very important and profitable service to the public such as: Passports, renewal of Passports, and Extended Identity Services which include Tax File Number Applications and interstate Land Title Transfers. Working with Children, 100 (one) point ID check and photos. The new owners could increase the number of passports/working with children and other tickets, etc. The income is very secure and stable, increasing annually. The Location & Supporting Benefits: This Lucrative LPO is located in a thriving shopping strip in a prominent position. Bendigo has an urban population of approximately 100,000, making it the fourth largest inland city in Australia and fourth most populous city in the state. Bendigo has consolidated its position as one of the fastest growing regional centres in Victoria, with growth expected to continue, especially in the new development areas. 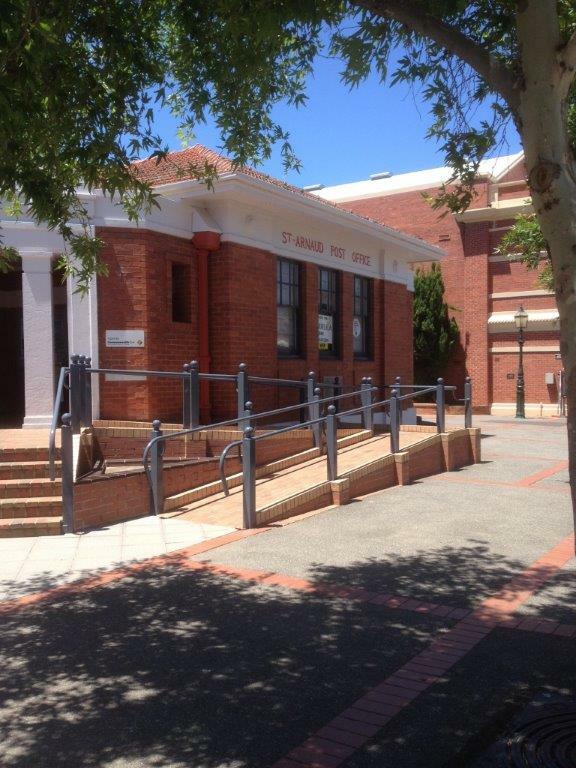 Eaglehawk has two government primary schools, a Catholic primary school and a government secondary college. There is a community and day hospital and a 66 bed aged-care facility. A police station and a fire station are also located in the town. Also home to the Star Cinema, a non-profit community-owned cinema located in the old Town Hall. The annual Dahlia and Arts Festival is held every March with music, dancing, arts displays and processions. The town is expanding with new estates being developed and filling fast. The Property: Ex Australia Post building. The Post Office: Established in 1863 and in its current location since 1863 but was known as Nine Creeks until 1869 fitted out to Australia Post requirements and specification. 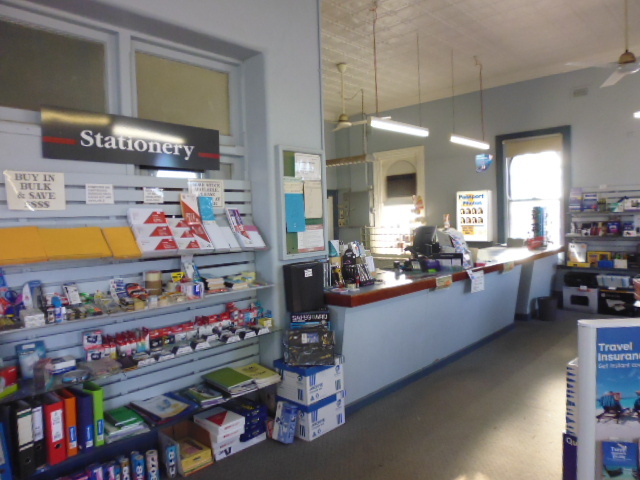 The present owner’s, have been operating the Post Office for approximately 18 years. The shop is large with room to introduce other products. This business has a strong and loyal local client base. The Business: Open Monday to Friday 9:00am – 5:00pm Equipped with one good size counter with one Epos machine, one bar scanner and one label printer. Currently there are 238 private post boxes installed mostly occupied. There is room to install additional private boxes should they be required. Perfect for a husband and wife team. 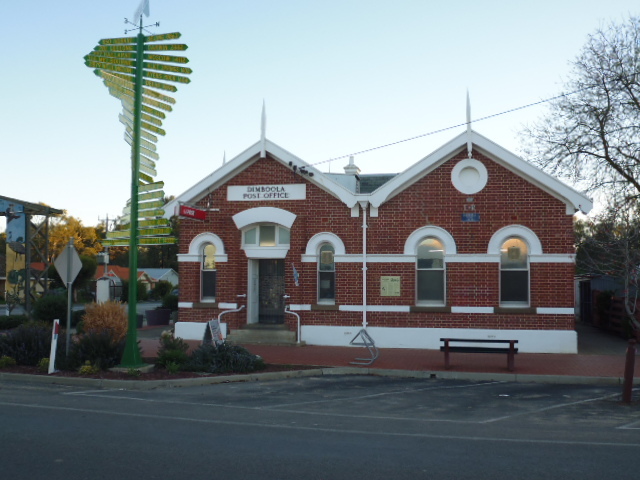 Services Provided: Dimboola Licensed Post Office provides all normal Australia Post Services including Western Union Money Transfer, Passports, renewal of passports, ‘Working with Children’ and100 point ID – check and photos, Facsimile Services and Photocopy Services. This is a one stop Post Office and can operate with one person only. The Location & Supporting Benefits: Dimboola is a town located in the Shire of Hindmarsh in the Wimmera region of Western Victoria, 337 km north-west of Melbourne, 391 km from Adelaide and 39 km from both Horsham and Nhill. Dimboola is situated on the Wimmera River. The population of Dimboola is approximately 1,800. Dimboola’s economy is predominantly rural, with wheat and sheep although there have been recent forays into emu and alpaca rearing and olive plantations. It is a grain processing centre. The Dimboola railway station has V/Line coach services. The Overland train stops at the station three times per week. Dimboola has an Australian Rules football team competing in the Wimmera Football League. Golfers play at the Dimboola Golf Club on Riverside. 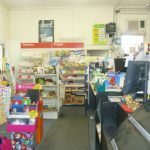 Dimboola has 2 Banks, 1 Hotel, Chemist, Newsagent, Bakery, Café, IGA Supermarket, Accountant and 3 Schools, Hospital, Doctor and Service Station. 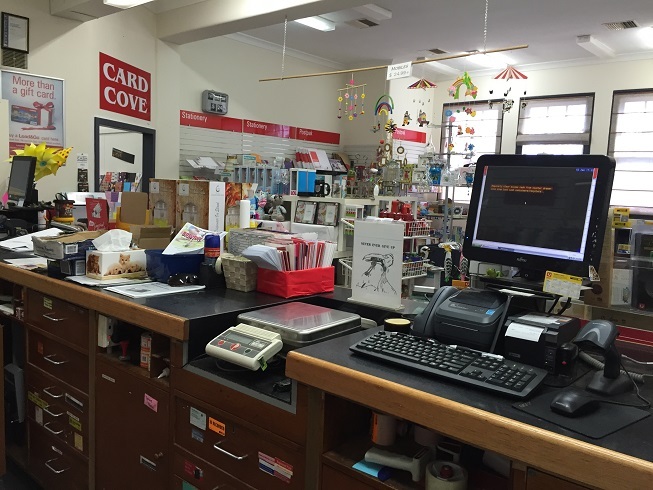 The Post Office: Two Terminal, Australia Post Counter with full EPOS technology. The Post Office operates 5½ days per week. The shop has plenty of room to introduce many other products. The Business: Has been operating in its current location for many years. Open Monday to Friday 9:00am-5:00pm and Saturday 9:00am to 12:00pm. Equipped with one good size counter and two (2) Epos machines, two (2) bar scanners and one (1) label printer. There are 173 private post boxes installed, currently all occupied. The income is consistent. There is provision to install more private boxes should they be required. Perfect for a husband and wife team. 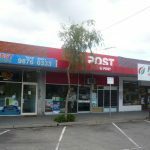 Services Provided: This Licensed Post Office provides all normal Australia Post Sales and Services including working with children, 100 (one) point ID – check, photos, western union money transfer, etc. 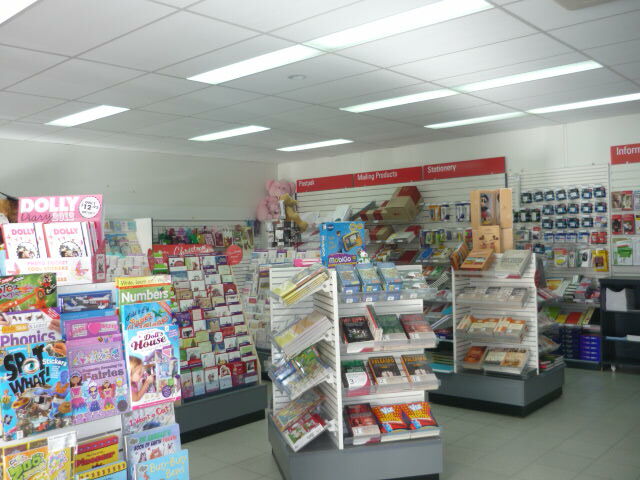 In addition, the Post Office has a vibrant sub-newsagency, stationery, gifts and toys. This is a one stop Post Office and can operate with one person only most of the time. Opportunities: Promote key cutting machine, advertise locally services provided at the Post Office, utilise the floor area, introduce additional stock, install more POB’S and promote the Post Office locally with letter drops and being active within the local community. The Location & Supporting Benefits: Very popular location close to all facilities such as schools, shopping centre, Public Transport and the East Link Freeway. Two-bedroom residence attached to the rear of the shop currently tenanted. Secure Lease. Located amongst a small group of shops having excellent parking to front of the shop. 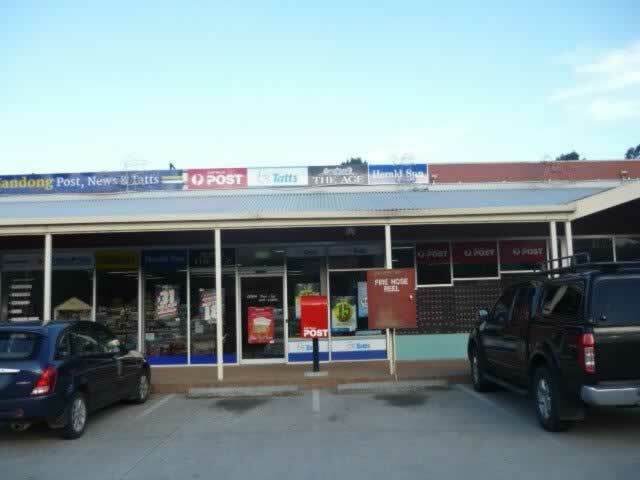 This LPO shopping precinct consists of a wide variety of businesses including, Milk Bar, Framing & Memorabilia Shop, Beauty Salon, Seafood, Fish & Chips, Indian Grocery Store and Garden Supplies. The income is very secure and stable with real potential to increase. The shop is in a prominent position within the shopping strip. Customers are extremely loyal and a ‘village’ type atmosphere prevails. This is a very easy business to run; one and a half people can operate most times. Net income approximately $125,000 + per annum. 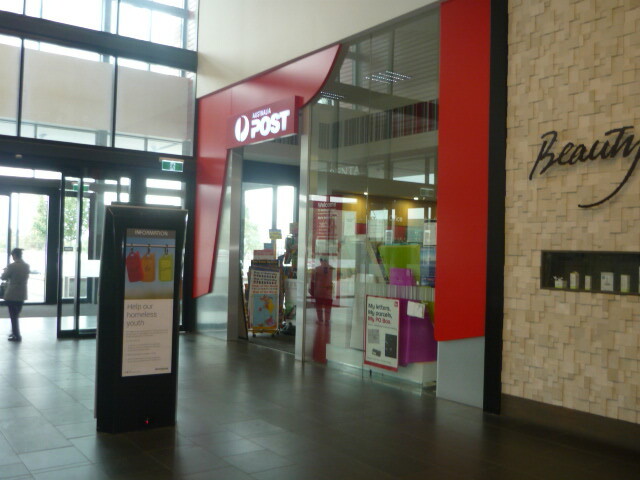 The Post Office: is spacious bright and clean, A refurbishment to Australia Post Standards was completed in July 2012 and no further updates have been requested. A new parcel cabinet has been installed recently. The Business has been operating in its current location for many years. Open Monday to Friday 9:00am – 5:00pm and 9:00am to 12:00pm Saturday equipped with one good sized counter with 2 Epos machines, 2 Bar-Code scanners and 2 label printers. There are 250 private post boxes with only around 15 vacant and there is room to install more private boxes should they be required. Perfect for a husband and wife team. 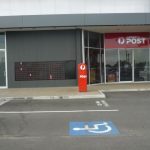 Services Provided: This Licensed Post Office provides all normal Australia Post Sales and Services including working with children, 100 (one) point ID – check, photos, western union money Transfer etc. Product lines sold at the Post Office include greeting cards, gift wrapping, stationery, plastic courier bags, children’s books, puzzles, games and various gift items from a variety of suppliers. There is also a dry cleaning service. 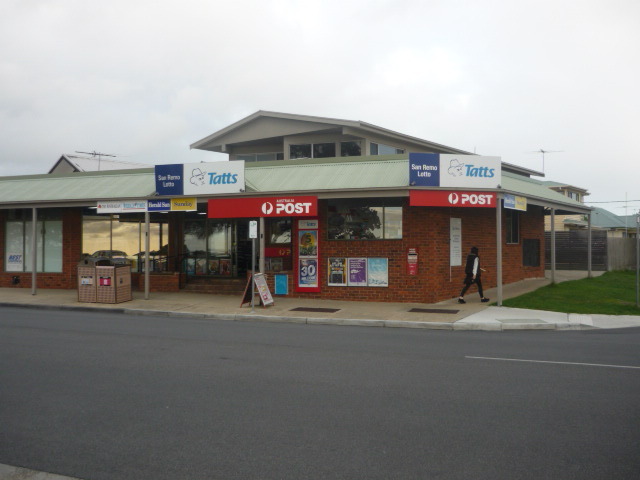 The Location & Supporting Benefits: The Post Office is located in a very busy local shopping centre, conveniently accessible by car and public transport. There is a large car park, so parking is always available and the nearby supermarket, chemist, bakery, coffee and other speciality shops ensure a steady stream of customers visiting the shopping centre. Other shops and small businesses in the area: Woolworths supermarket, Eastern Pearl Chinese restaurant, Chemist Warehouse, Bakers Delight, Subway, Loose Goose café, Hairdresser & Beauty Salon, Chinese Massage, Mobile Phone accessories & repairs, Tatts & Newsagency, $2 Gift Shop, Bunnings, Bowens Timber, Plus Fitness, 7 Eleven, Caltex Petrol Station, Baby Bunting, McDonalds, La Porchetta, Pat’s Music, Harcourts Real Estate Agents and other speciality shops. LOCATED ON A VERY BUSY MAIN ROAD EASY ACCESS TO PASSING TRAFFIC ADJACENT TO BUS STOP. easy access to Major Freeways, which service the city and most areas, close by and has a strong and loyal local client base. 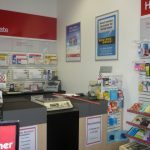 The Business: Open Monday to Friday 9:00am – 5:30pm – Saturday 9:00am to 3:30pm Equipped with one good size counter with 2 Australia Post Epos machines, two bar scanners and 2 label printers. Also equipped with 1 Tattersall’s machine. Currently there are 166 private post boxes installed of which most are occupied. 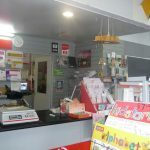 Services Provided: This Licensed Post Office provides all normal Australia Post Services including. Working with children, 100 (one) point ID – check, photos, western union money Transfer etc. The income is very consistent and increasing annually. Including Tattersall’s Lotteries and Scratches. Opportunities: Introduce additional products; apply to Australia Post for new passport service. Working with children, promote 100-point ID – checks and photos. Install more private boxes. Capitalise on the proposed new developments in addition there are many opportunities in this developing area. 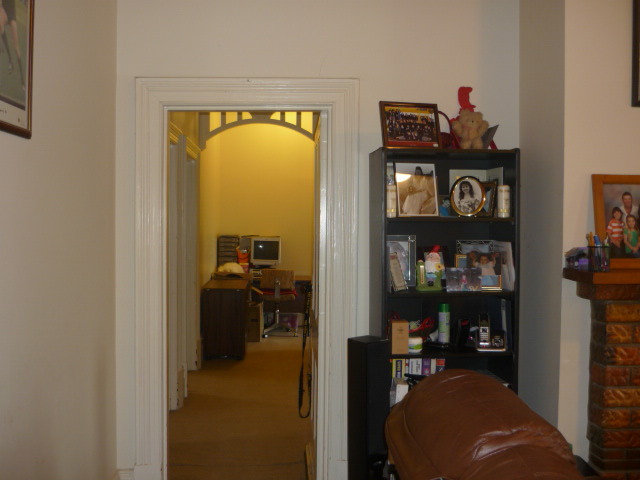 The Location & Supporting Benefits: This is located approximately 12 km from the Melbourne CBD. At the 2011 Census, this area had a population of 20,029. The suburb is one of the most well-established of Melbourne’s affluent suburbs. It is part of the City of Boroondara, the local government area with the lowest socio-economic disadvantage index in Australia. There is almost no industrial land in the Suburb, and commercial uses are concentrated near the Burke Road precinct, which has long been one of the busiest in suburban Melbourne. Businesses located in the shopping strip include Cafes, Brumby’s Bakery, Engravers, Fresh Fruit Grocery, Thai Restaurant, Pharmacy, Beauty Salon and Woolworths/BWS. Coles supermarket is under construction and is expected to be completed by the end of 2018. There is no Newsagency/Tattslotto within 1.8 kms. This suburb is well-serviced by public transport, with three rail lines, three tram routes and three bus services operating throughout the suburb. There are many Schools in this suburb such as Primary School, High School and Siena College. Net income approximately $200,000 + per annum.